Campaign on Administrative Detention: In March 2009 Addameer, the Prisoner Support and Human Rights Association, launched a Campaign to stop Administrative Detention. Administrative Detention is a system of incarceration without charge or trial, where secret evidence from Israeli intelligence is shown to the military judge and used to justify incarceration for a period of up to 6 months on a renewable basis. The grounds raised are not communicated to the detainee or his/ her lawyer. Addameer represents Arafat Daoud, a third year Sociology student at Birzeit, who has been held under Administrative Detention since 2006. 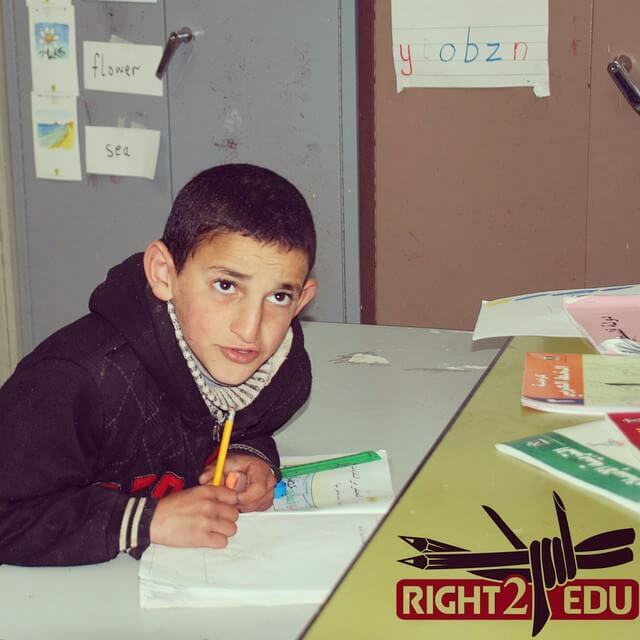 For more information on his case and to start a letter-writing campaign in his support, contact right2edu@birzeit.edu. International visitors meet with the R2E: The R2E has continued to make efforts to raise awareness of the obstacles facing Palestinian education caused by the occupation in the form of meetings with various groups – At the beginning of March 2009 the R2E Campaign and Birzeit University academics involved in the Palestinian Campaign for the Academic and Cultural Boycott of Israel (PACBI) met with Dr. Terry Brotherstone, President of UCU Scotland, Ms Mary Senior, Assistant Secretary of the Scottish Trade Union Congress (STUC) and Ms Elizabeth Elkind, a member of the Edinburgh Trade Union Council and the STUC General Council, who were in Palestine as part of a delegation of Scottish representatives on a fact-finding mission to gather information on whether to pass the BDS motion at Scottish trade unions. The report published upon their return is available online http://www.stuc.org.uk/files/Palestine/Delegation%20Report%202009.pdf. One of the most tangible results of the visit was that in April, the Scottish Trade Union Congress voted overwhelmingly to commit to boycott, divestment and sanctions against Israel. In the last two months the Campaign also met with a number of delegations, including one sent by the Dutch Ministry of Education and another led by Robert Serry, the Secretary General Representative and UN Special Coordinator for the Middle East Peace Process. R2E student activities: The fortnightly Toastmaster’s club, facilitated by Aisha Mansour gives students the opportunity to practice their public speaking in English, a necessary skill for those who speak about the human rights situation in Palestine and education under occupation to international visitors. Also in April, Dr. Mazin Qumsiyeh, a Professor in Genetics and an experienced human rights activist who has participated in speaking tours across thousands of U.S. universities, gave a lecture to R2E volunteers on ways in which presentations on the human rights situation in Palestine can be tailored to suit the specific audience being addressed. Dr. Qumsiyeh discussed various issues including the importance of using select terminology, quoting international law and well-known persons, as well as telling personal stories and believing in the point of the exchange of information at hand. Denied entry: In April 2009, a British scholar who supports the academic boycott of Israel was refused entry into the West Bank. Dr. Nicola Pratt, who teaches at East Anglia University and specializes in human rights in the Arab world and women’s status in the Middle East, tried to cross over to the West Bank from Jordan to deliver a lecture on human rights at Birzeit University. After being questioned at the Allenby border crossing, she was told that she would not be allowed to enter. Since the beginning of 2006, many thousands of foreign passport holders have been denied. Education students receive Right to Education training: In April, two sections of future Palestinian educators at Bethlehem University took part in class discussions and workshops around Right to Education issues. The Bethlehem University Campaign coordinator spent one week working with students in Dr. Sami Adwan’s third-year Faculty of Education classes. As well as learning about the campaign, students also brainstormed ways they could incorporate education issues into local curriculum. The Campaign at An-Najah now has its human rights database up and running, and the first case studies are being uploaded by the newly appointed human rights documentation officer, Hadeel S. Al-Haddadeh. The R2E An-Najah steering committee is also now in place and has begun its role of advising the Campaign. Members of the steering committee are Dr. S Musmar, Assistant Dean of Medicine, Dr. Akram Dawoud, Dean of Law, Dr. Kherieh Rassass, Dean of Optometry and Head of International Relations, Mr. Aymin Zimmer, Head of Media Unit, Voice of An-Najah, Dr. Abu Zant, Dean of Sociology and Ms Yasmine Sharour, Head of PR at An-Najah. Student Ambassadors: The student ambassadors will take their final exams in the first week of May and there will be a small graduation ceremony to celebrate the first round of Ambassadors from An-Najah. The An-Najah Ambassador team will travel to the offices of Badil in Bethlehem for a training session on the right to return. The students who took part in the Goldsmiths’ occupation of Deptford Town Hall in protest over Israel’s attacks on Gaza visited An Najah’s Right to Education Campaign and were given a tour of the university campus. Settler attack near school premises: Masked Israeli settlers shot and injured six Palestinians standing near a school in the village of Urif south of Nablus on Friday the 24th of April. 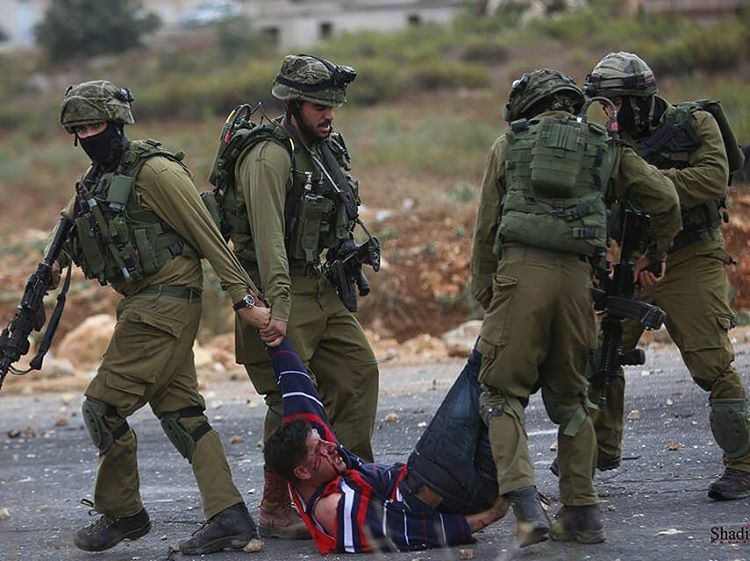 The Israeli army imposed a curfew on Urif village following the incident. 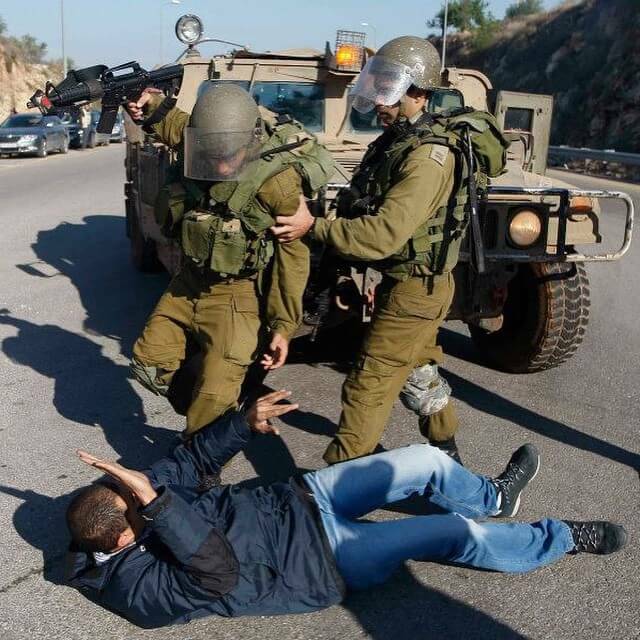 The Head of the Village Council, Fawzi Shehada, said that Israeli soldiers were also firing at the Palestinians. Shehada said the shooting was intentional and meant to cause injury. He explained that the intensity of the fire prevented him from leaving a residence near the school where he was visiting family members; “I couldn’t even go and see how many wounded there were,” he said. Ghassan Daghlas the Palestinian official responsible for settlement violations in the northern West Bank, added; “The settlers, from Yitzhar, opened fire at locals from 20 meters away… This is a clear and dangerous violation of the rights of the Palestinian residents on their own lands.” Palestinian medical sources said five of the six were moved to Rafediya governmental hospital who described their condition as moderate. The injured were identified as: Sadam Abed Al-Karim, Maher Ghassan, Nour Mustafa Safadi, Mahmoud Abed Ar-Raheem Safadi, I’sam Najeh Safadi, Ibrahim Radi Sabah. 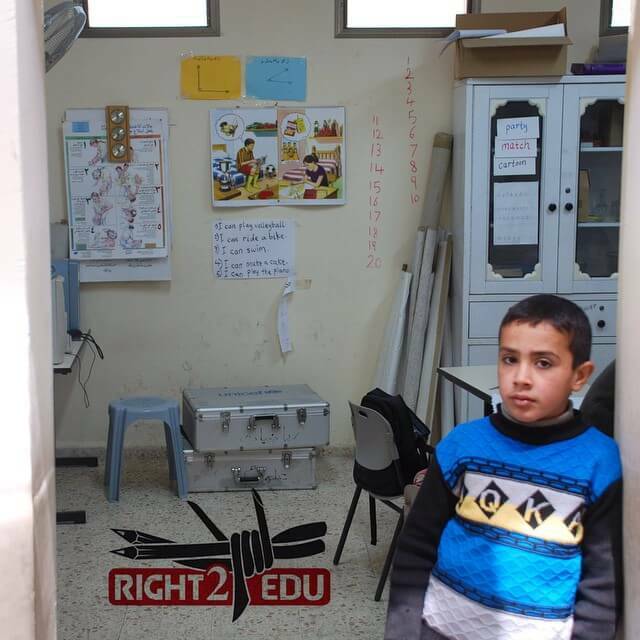 The R2E Campaign branch in Italy has been continuing to take the R2E photo exhibition all around the country in an effort to raise awareness of obstacles to Palestinian education caused by the Israeli occupation. Currently the exhibition is being held at a local peace association in Schio (Vicenza), after which it will go on to Rome University la Sapienza. For further information see the website: www.birzeit-it.tk On the 22 nd of March 2009, a regional meeting was held in Bologna Italy, by the Bologna Palestine Committee (www.comitatopalestinabologna.blogspot.com), to coordinate student initiatives in support of Palestine. The R2E Campaign was presented at this meeting by Alessandro Salvatori, an Italian from Modena who has been active on Palestine issues since 2002. Teachers 4 Palestine and Students Against Israeli Apartheid at the University of Toronto, both Canadian affiliates of the R2E Campaign also held an event at the end of March, entitled “Letter writing night for Palestinian student political prisoners”. 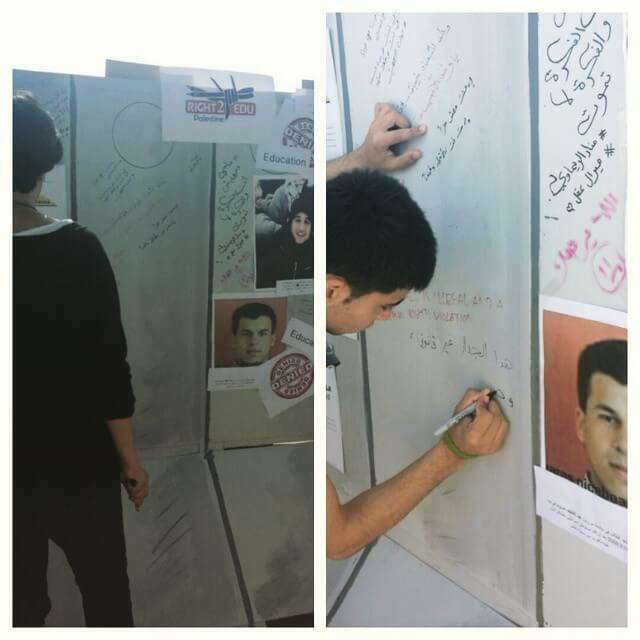 The event marked the launch of a letter-writing campaign for Palestinian political prisoners held in Israeli jails. 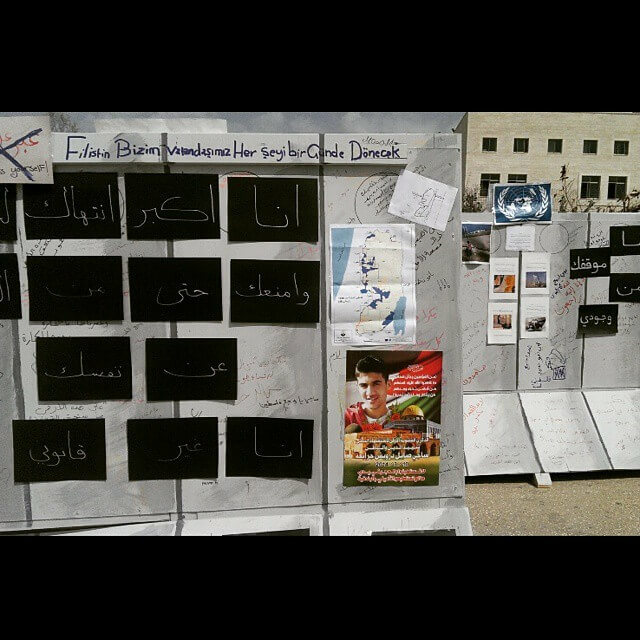 Letters were written to the EU, the IBA and attendees’ government representatives, on behalf of a number of prisoners, including Birzeit University student Arafat Daoud. Israeli troops raid Tulkarem, question university students Tulkarem, Ma’an, 23 April 2009Israeli troops raided the western and southern areas of Tulkarem and stormed Khaduri University student resident buildings overnight. Upon taking office, the new Israeli Education Minister Gideon Sa’ar declared that he will reinstate Jewish heritage studies into the curriculum. Knesset Member Afu Aghbaria has written a letter in protest of this decision, which clearly discriminates young Palestinian citizens of Israel, as it celebrates Zionism. Israeli forces stormed Al-Khadr raided a home and arrested a university student after ransacking his property. 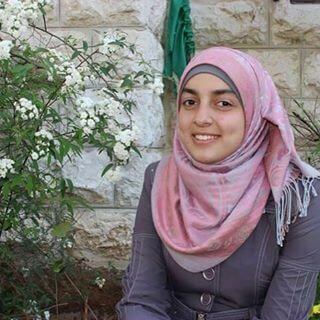 Ashraf studies architecture at the Palestine Polytechnic University in Hebron. Anne Barker, Middle East Correspondent, ABC News, Australia, 13 April 2009 Little has changed in Gaza since the war in January, with thousands of families still living in tents and homes and schools still just rubble and ruins. But life for many children has never been the same since Israel launched its offensive three months ago. Many university students who lost relatives or whose homes were destroyed during the recent 23-day Israeli offensive are finding it difficult to cope, according to university officials and students. Al-Mezan Centre for Human Rights in Gaza said 14 of the 15 higher education institutions in the Strip were damaged by Israeli forces. 6 came under direct attack. 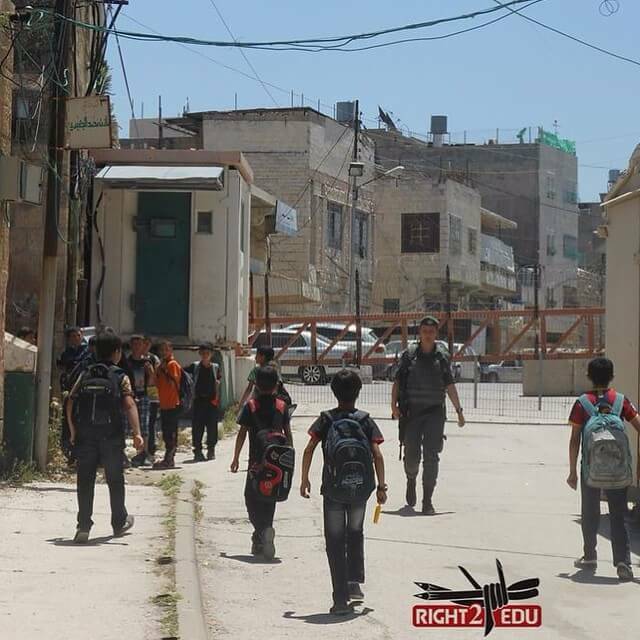 The Israeli-controlled Jerusalem municipality issued a demolition order for Al-Huda school in East Jerusalem on the grounds that a wing had been added to the building 15 years ago without proper permits. On Friday a Jerusalem court issued an injunction to temporarily halt the demolition in response to a petition filed by a Palestinian lawyer. Read the British Committee for Universities of Palestine newsletter for March 2009 here. 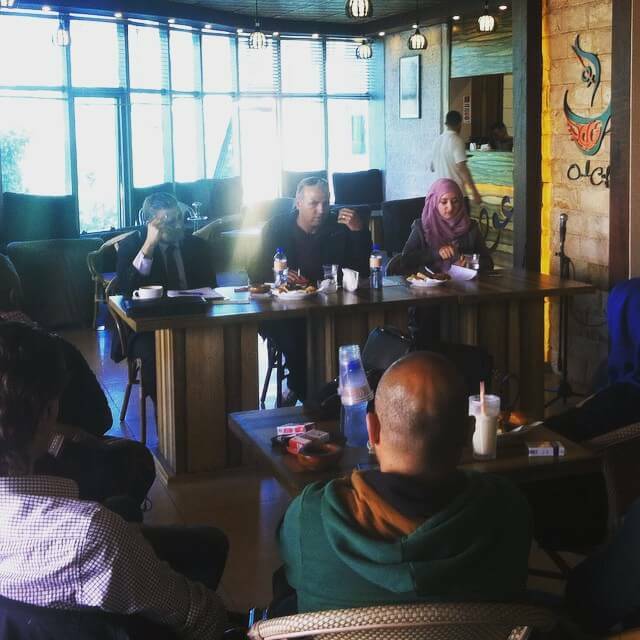 Israeli Apartheid Week events for the past several days in the West Bank focused on strengthening the internal BDS movement and promoting Palestinian products, both at Palestinian universities and in local shops and communities. The Faculty of Arts and Sciences is meeting on April 23rd to discuss academic freedom in Palestine. In recent years, Columbia University has acted in numerous ways to support and defend academic institutions in Israel, but there has been a conspicuous silence regarding Palestine. At this historic meeting, convened on faculty initiative, the case will be made for action by the university on behalf of academic freedom and rights to education in Palestine. University campuses across Australia have seen a new and vibrant student movement for Palestine taking shape in the wake of Israel’s destruction of Gaza at the beginning of the year. A call from Lebanese academics for academic boycott, divestment and sanctions against Israel. A call from Australian academics for an academic and cultural boycott of Israel. While families in Gaza continue to mourn and rebuild from the latest massacre perpetrated by the Israeli state, students and community groups around the world are uniting to educate and act in the 5th Annual Israeli Apartheid week. March 1st Â– 8th, 2009 is marking the annual event in more than 40 cities around the world, including: Palestine, South Africa, the United States, Norway, Venezuela, England and Canada where the week was first held 5 years ago. A group of students from Brighton locked themselves to Carmel Agrexco, the Israeli state owned export company, to protest against the ongoing annexation of the West Bank as well as the repression of students in Jayyous. In another victory for the UK student occupations, Cardiff University has been forced to divest from the arms trade. Also, Sussex University has organized a week of action in solidarity with the arrested students from Jayyous. 1. Affiliate to the Right to Education Campaign through your union or organization. 2. Raise awareness within your constituency about the issues facing Palestinian education, students and teachers under Israeli military occupation. · Screen the Campaign film, “A Caged Bird’s Song” (copies available online www.PalestineOnlineStore.com). · Organise an action on campus. For example, set up a ‘checkpoint’, stopping students and faculty on their way to classes, demanding to see their student and staff IDs and raising awareness about the issues facing Palestinian students under occupation. · If you are a student group, set up a correspondence with university students, through email, instant messenger and video conferences. 3. 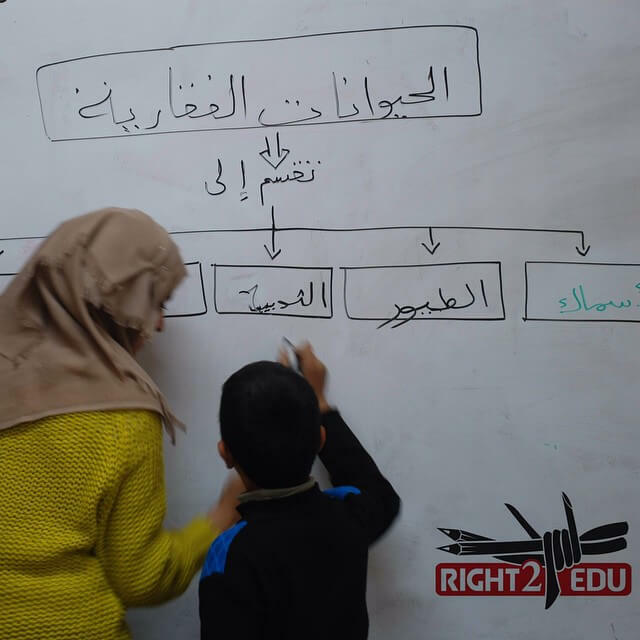 Support the Right to Education Campaign’s calls for international action against violations of the human right to education in occupied Palestine. 4. Lobby your government to pressure the government of Israel to adhere to its legal obligations to end attacks on civilian infrastructure and to allow unimpeded access for all Palestinians to their educational institutions. 5. Establish connections with Palestinian universities, students and faculty, through solidarity links, twinnings or academic exchange. 6. Start or join divestment campaigns at your university. 7. Organize a delegation to visit universities in Palestine, or help to organize a delegation of Palestinian students and faculty to come on a speaking tour to universities and organizations in your country. 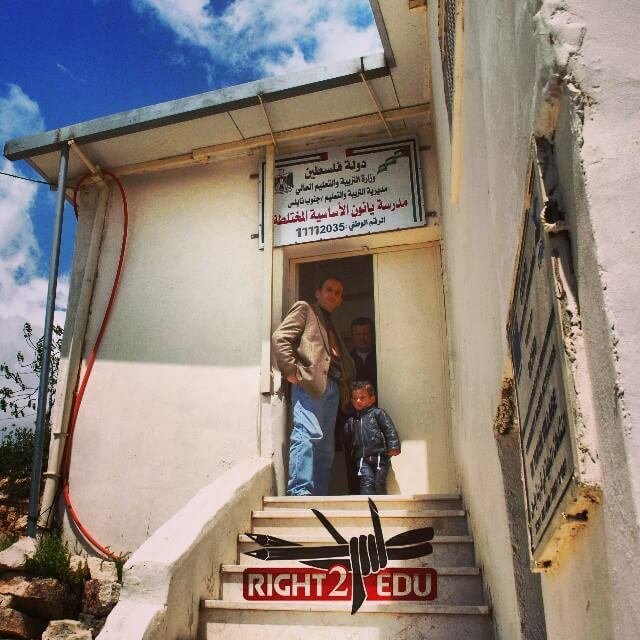 The Right to Education Campaign started in Birzeit University as a response to the closure and criminalization of higher education during the first intifada. In 2007, it started at An-Najah National University and in 2008, in Bethlehem University. The Campaign is situated in the Public Relations Department of all three host universities. The Campaign’s main goal is to guarantee article 13 (2)(c) of the International Covenant on Economic, Social and Cultural Rights,1966; “Higher education shall be made equally accessible to all, on the basis of capacity, by every appropriate means, and in particular by the progressive introduction of free education” And to defend the human rights of students and staff as set out in the Universal Declaration of Human Rights, 1948. In pursuit of this goal, the Campaign collects information about violations to students and staff that result in an interruption to education; raises awareness of these violations amongst international audiences; lobbies UN and EU mechanisms; provides legal support to imprisoned students; raises awareness of rights amongst the student population; and builds the capacity of students to take on campaigning activities. 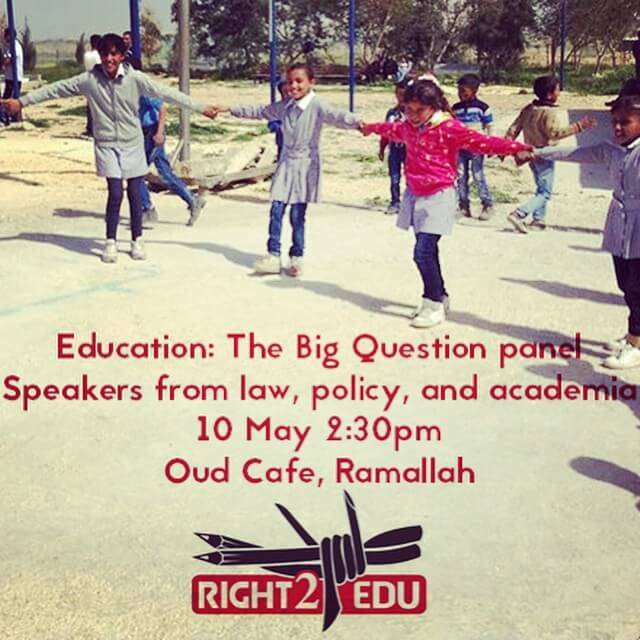 The Right to Education Bulletin is a digest of news and campaign information on right to education issues affecting Palestinian students, teachers and academics in the oPt and Israel, released bi-monthly. To subscribe or unsubscribe from this bulletin please email right2edu@birzeit.edu with SUBSCRIBE or UNSUBSCRIBE in the subject heading.